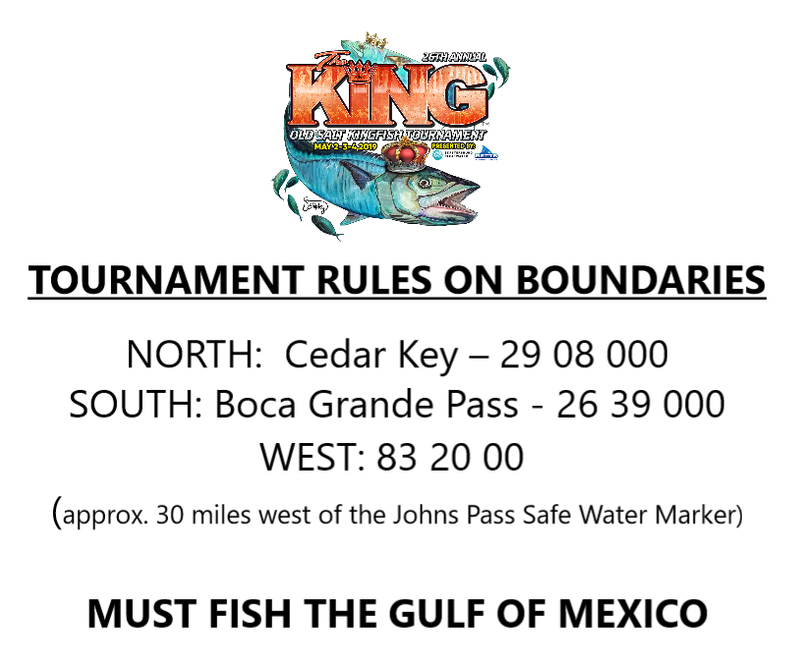 The Old Salt King of the Beach has, for the better part of its 26 year life, imposed a tournament fishing boundary at 83° 20’ 00” W (approximately 30 miles west of the Johns Pass Safe Water Marker). 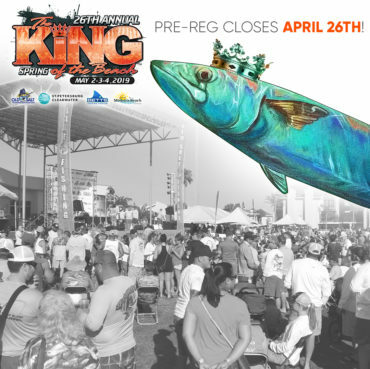 Old Salt instituted the 30 Mile Boundary to provide a competitive King Mackerel tournament with a level playing field. That leveling is slanted towards anglers fishing from vessels with a single engine. Mackerel, like most large Pelagic fish, are migratory and while we have plenty of healthy fish inside the tournament boundaries there is always the prospect of bigger and better bites “somewhere”. Vessels with more motors and sufficient fuel would hold a distinct advantage if the tournament allowed fishing all the way out to the Middle Grounds or maybe a big push south towards the Keys. The improved competitive environment has seen an even distribution of wins between single and multi engine teams and increased the number of teams stepping up to compete in the sport at a competitive level. To further improve the competitive environment Old Salt has purposely kept the entry fees for the King low ($225 – 275) and crafted up a lucrative Single Engine Division to boot. 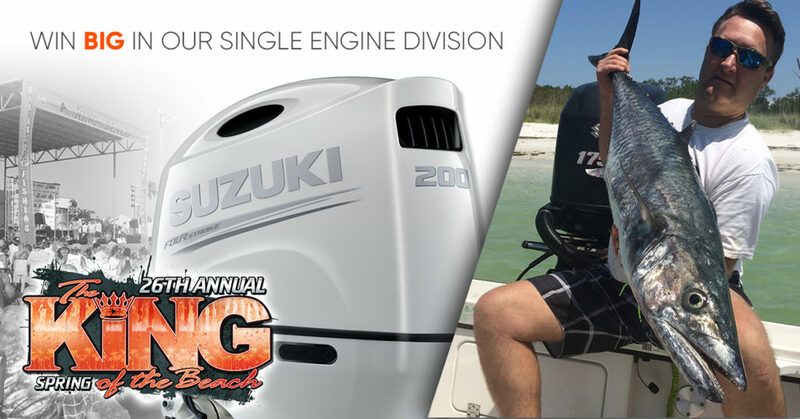 Boundaries hurt no one and make fishing the King of the Beach a more compelling proposition for that 84% of boaters who drive a single engine vessel. I’m proud of the Foundation to step up and do the right thing. In a day and age where ‘money talks’ and the power circuits control everything from school to politics it’s heartening to see an organization stand up for the ‘little guy’ and fair play.